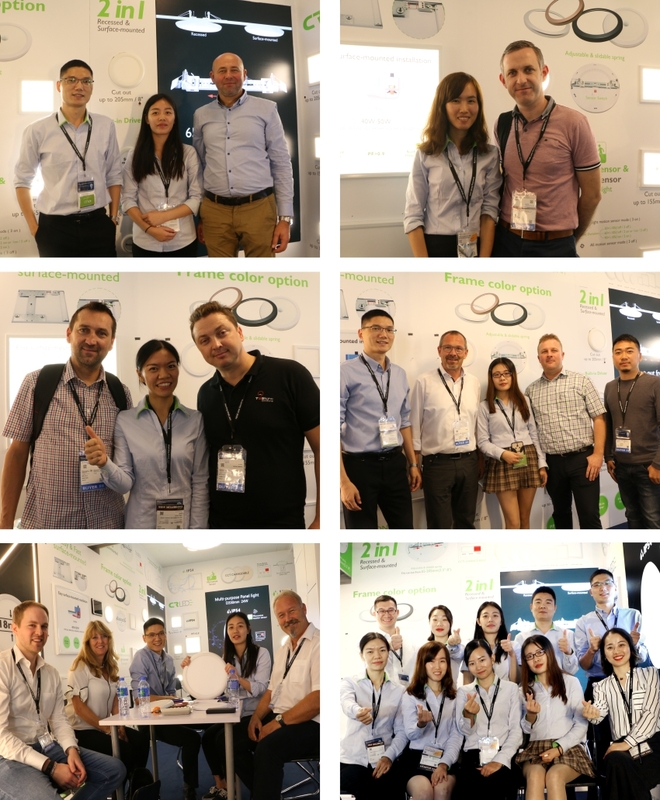 CR LED has joined the 20th HKTDC Hong Kong International Lighting Fair (Autumn Edition) and made a good performance, many many customers like our products.and we received over 400 pieces business card. CR LED group Showcase our latest panel lights and light strip products on booth 5B-B25 and 3D-B21.Including 2IN1Multi-purpose Flat and Plus, Light sensor and PIR sensor panel light, AirFlatEdge panel light, and minilink DIY liner strip.Many buyers were interested in our NEW products,hundreds of buyers to come in and have a detail talk. With the development of global lighting market,both exhibitors and buyers become more and more professional. For us, it is not only the opportunity but the challenge,which informs us we have to do the best and create more add value for customers and ourselves. Welcome clients to visit us at next exhibition and our factory, we will do our best to be your the most professional and trustworthy partner.